Microsoft is in the process of phasing out Windows Essentials, formerly known as Windows Live Essentials. Microsoft has included Modern-style replacements for many of the Essentials applications in Windows 8 – email, calendaring, contacts, messaging, photo management, and cloud file storage are all built in. However, some Windows Live Essentials applications have no Modern equivalent, and you may want to the desktop versions of some applications. 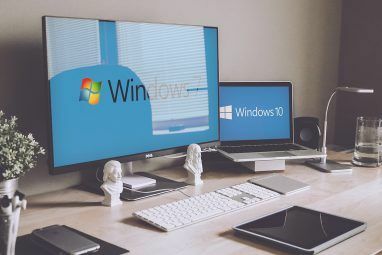 Microsoft has come full-circle – after including many of the Windows Live Essentials apps in Windows Vista, they were removed in Windows 7 and available as a separate installer so that Windows 7 could be a more lightweight, minimal operating system. They’re now being integrated back into Windows 8 by default. Mail: Microsoft’s Mail application connects to Outlook.com, Hotmail, Gmail, Exchange, and IMAP accounts. It takes the place of Windows Live Mail. Calendar: Windows Live Mail included integrated calendar support, but calendaring is now available in a separate application. It can sync with the calendars linked to your Microsoft account, Google Calendar, and other calendar services. People: Windows Live Mail’s address book is now the People application. In addition to being an address book, it can connect to services like Facebook, LinkedIn, and Twitter to bring together your contacts in one place. Messaging: The messaging application works with Microsoft’s Messenger and Facebook. It takes the place of Windows Live Messenger. Photos: The Photos application takes the place of the Windows Live Photo Gallery. It can view photos on your PC or SkyDrive, import photos from a camera, and access online photo services like Flickr or Facebook. SkyDrive: SkyDrive takes the place of Windows Live Mesh as Microsoft’s new online file storage service Which Is The Mobile Cloud Option For You? iCloud vs. SkyDrive vs. Google Drive Which Is The Mobile Cloud Option For You? iCloud vs. SkyDrive vs. Google Drive It seems the cloud is hard to escape these days - both in your daily tech life, and on websites such as ours. Only last week I wrote an article about cloud-based PowerPoint alternatives, the... Read More . Windows 8 includes a Modern app for viewing and managing your SkyDrive files. Family Safety: The Family Safety application has been replaced by integrated parental controls in Windows 8, which are also called Family Safety. Access Family Safety from the control panel to set time limits, restrict access to websites, and get reports on your kids’ computer usage. You may also want to install Microsoft’s Skype application for Windows 8 from the Windows Store Simply Install Apps And Games In Windows 8 Simply Install Apps And Games In Windows 8 One of the key benefits of the new Windows 8 Consumer Preview is the addition of the Windows 8 Store, absent from the previous Windows 8 Developer Preview. This new tool streamlines the process, allowing... Read More . Skype will soon replace Windows Live Messenger entirely. However, if you want to edit movies, write blog posts, or sync files on the desktop, you’ll still need some of the classic Windows Live Essentials applications. The Windows Essentials installer package is still available for Windows 8. It will download and install the familiar Windows Essentials desktop applications on your computer, although many applications – such as the Bing Bar, Outlook Connector, Messenger Companion, Windows Live Mesh (replaced by SkyDrive), and Family Safety (Windows 8 has integrated parental controls) have been removed. SkyDrive (desktop): Windows 8 only comes with a Modern-style SkyDrive app that allows you to view your SkyDrive and upload files in the new, Modern UI. If you use SkyDrive and want to sync files to your computer and access them in a folder – just like Dropbox – you’ll need the SkyDrive desktop application. It’s available through the Windows Essentials installer, although you can also download the SkyDrive desktop app separately. Windows Movie Maker: Microsoft’s easy-to-use movie editing application still has no Modern equivalent. The desktop application works fine on Windows 8 and is available from here, along with a photo gallery application that works on the desktop. Windows Live Writer: Windows Live Writer Windows Live Writer: The Easiest Way To Blog, Right From Your Desktop Windows Live Writer: The Easiest Way To Blog, Right From Your Desktop There is something nice about being able to blog from your desktop and simply clicking “submit” and then having it appear on your blog. Of course since you are creating it locally on your computer... Read More is a much-loved blogging application. It still has no equivalent in the new Windows 8 interface. If you want Windows Live Writer, you’ll need to install it from here. Windows Live Mail: Don’t expect Microsoft to focus much attention on this program going forward – Microsoft would rather you use the Mail application in the Modern interface, the full Microsoft Outlook on the desktop, or their Outlook.com web interface How To Play With Outlook.com Without Giving Up On Gmail How To Play With Outlook.com Without Giving Up On Gmail I don’t think you will be changing over from Gmail to Outlook.com too soon. Definitely not brand loyalty, but certainly our email habits which makes that change just a future prospect. Gmail is great by... Read More . If you still like Windows Live Mail, you can install it and continue to use it anyway. Windows Live Messenger: There’s not much point in installing Messenger – Microsoft’s Messenger service will be shut down on March 15, 2013, after which this program will no longer be available. Existing accounts will be migrated to Skype, so you’ll want to install the Skype desktop app if you’d rather not use the Modern app. Want more information about Windows 8? Download Getting Started: Your Guide To Windows 8. Do you still use Windows Live Essentials on Windows 8, or have you found better Windows 8-style app replacements to them? Leave a comment and let us know! Explore more about: Windows 8, Windows Live. I want to download my pictures but I cant find out where. Cortana said Windows Essentials. I downloaded it but there is nothing there. The windows 8 inbuilt photo viewing application is terrible and I can't wait to get rid of it. Windows Live Photo Gallery is so much better! However as there is no version for windows 8 I am concerned that it may not be compatible to download on windows 8. Could you please advise? I used Skype and Live Mail and other apps with Windows 7. I got a computer with Windows 8 installed and none of the above mentioned apps, Skype, Mail, Calendar,. People, Photos, Maps, Skydrive, Maps, Messaging and others work! So, I'm trying to find a way to use Skype and mail. I am not impressed with Windows 8.
where is WINDOWS MOVIE MAKER?!?!!?!?!?!?!???!?!?!?!!?!?!!?!?! I´ve recently also switch from Msn to Skype( not by choise). The video call quality is poor, and there are no games to play.Why they burried Windows Live Messenger is an enigma. Sorry but Skype is no fun. 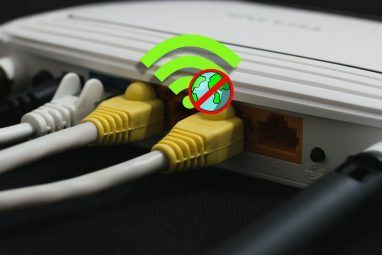 If your video call quality is poor, it is most likely due to your Internet service, or an issue with the installed video codecs on your computer. Skype has been the dominant player in video chat and VOIP for years. Windows Messenger, on the other hand, has been plagued with technical issues over the years. Sometimes it's been good, other times horrible. But with Microsoft's purchase of Skype, there was no reason to keep two video chat programs around, especially when Skype actually generates a lot of revenue. A concise and up to date article. I'm really put off by the idea that the new modern style apps are somehow supposed to replace the desktop programs. Besides the cumbersome (unless you're using a tablet) full-screen interface, they lack the majority of the functionality the desktop versions have. The modern apps are only for content consumption and viewing. There is almost no functionality for editing, creating or managing anything. Mail mail basically only lets you read, reply and write messages. Photos only lets you view and crop photos - nothing else. They're like the trial versions of software that don't have the paid feature unlocked. Windows 8 has some great new features but for what I need to do on my computer I couldn't care less about the modern apps. I agree with you. What really annoyed me is there is no DVD maker for the movies I make there was a great one on the start button on windows 7 very Dissapointed. When will Windows live mail (Desktop) new version be available? Secondly will this app be available or discontinued like outlook express? Whether social updated will be available in future or not. I am using this app since last 3 years and like very much. I do not like to switch outlook 2013 on Win 8. I bought a laptop with win 8 and thinking whether to choose Win 8 mail app, WLM 2012 or Outlook 2013. I have to configure my email, If this would be discontinued in near future than should I start to use outlook 2013. I found the SkyDrive app very useful, but it does not work on Windows XP. So, I decided to switch to alternative client syncDriver. You can try syncDriver for SkyDrive from here http://syncdriver.com. It’s working fine on Windows XP. You've succeeded in creating a virtually empty computer requiring the further purchase of virtually every required program. Congratulations on the rip off of the century. "Microsoft is de-emphasizing these applications, although several have no Modern equivalent yet." This makes me want to punch "them" in the face. Is that not being professional? I'm sorry, but this is stupid. As a new found Win8 user, I'm confused as to why MS has completely dropped the ball on these... ok maybe they haven't COMPLETELY dropped the ball on SkyDrive, but you certainly don't get the full user experience without the desktop app -- so why leave it out then? I find the Windows 8 Mail app very useful, it is much easier to check my email using it. One click and I can see all my email accounts! I've recently made the switch from MSN to Skype, I feel that video call quality is increased. No that is not true. Skype video call quality is very bad. Windows Live Messenger was better, but now it´s gone, and I am so mad. Good question! Windows 8 includes Windows Defender, which is basically Security Essentials with a new name. So: The Security Essentials antivirus comes with Windows 8. 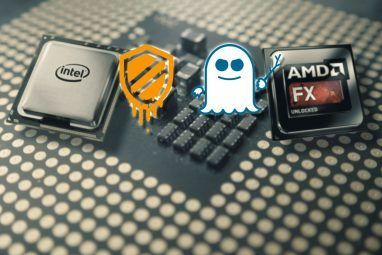 It's about time Microsoft finally includes an antivirus!